Kaiun is a 100% pure rice Ginjyoshu named in hope of prosperity. 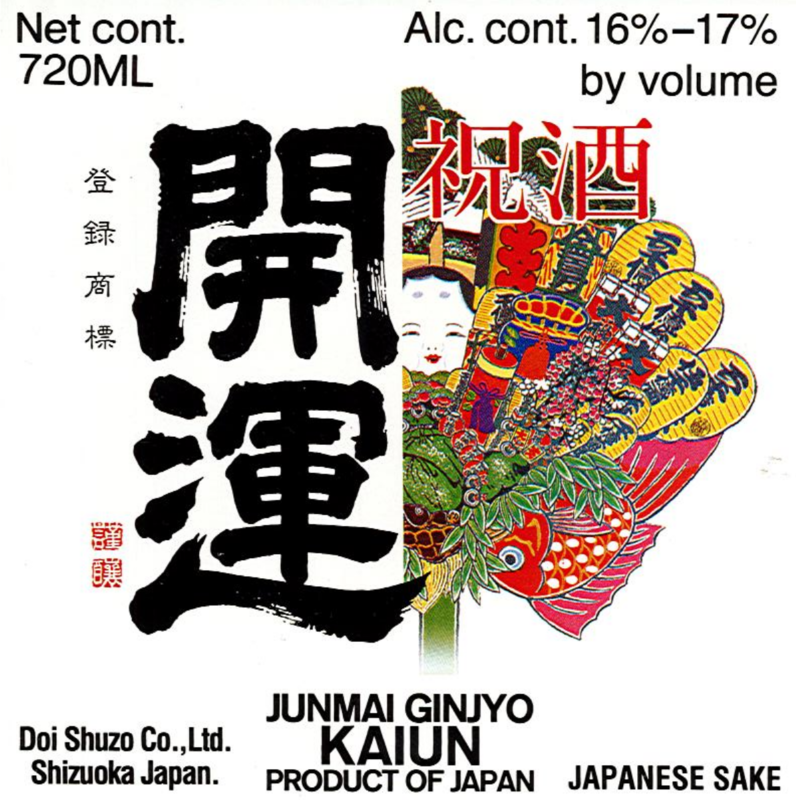 Using Taka Tenjin Jyo spring water, Kaiun is the product of years of sake brewing expertise. Bright, Well-Balanced and Mellow, Mildly Rice-Forward, and Rich But Dry Finish.